You know how you can get focused on something, thinking you are the only one who cares about it, and then you start to notice that the thing you are focused on appears to be everywhere all of a sudden? M. calls it the “plate of shrimp” thing from the movie Repo Man. All I know is that biscuits are everywhere these days – even in ice cream! I read about it almost a week ago. 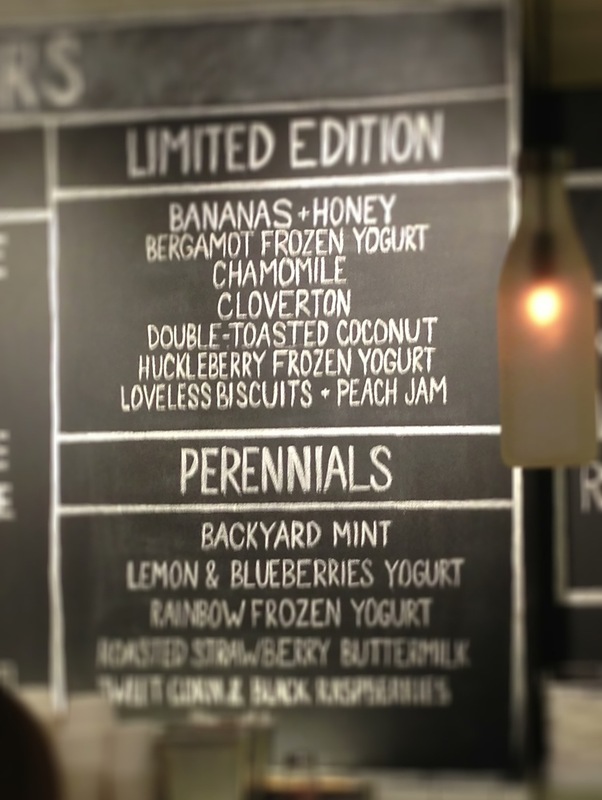 Jeni’s ice cream has teamed up with the Loveless Cafe to make ice cream with biscuits and jam. They wrote a nice blog post about it, too. That was all I had to say. We got the check, finished our wine, and headed back to East Nashville. 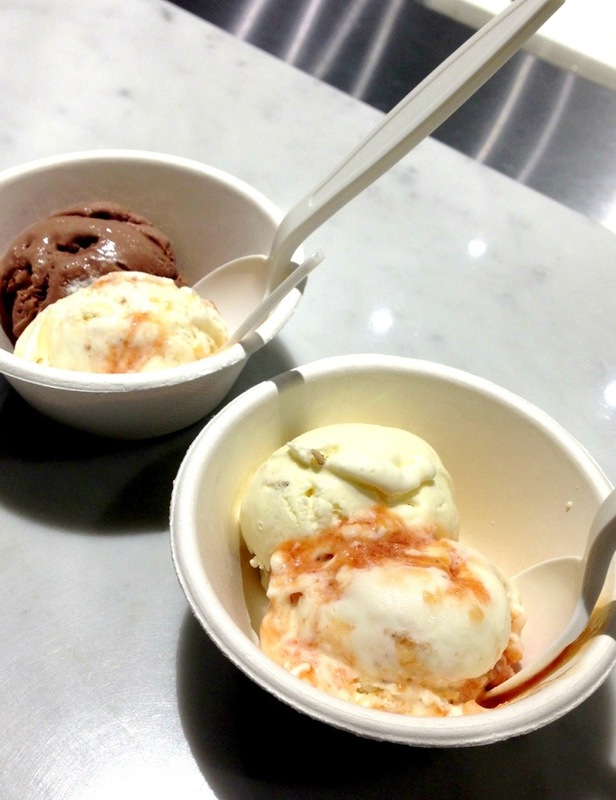 I first went to Jeni’s a couple of years ago, soon after they opened. I remember thinking how different the place was from the rest of East Nashville. The gleaming white tile and bright interior seemed incongruous. 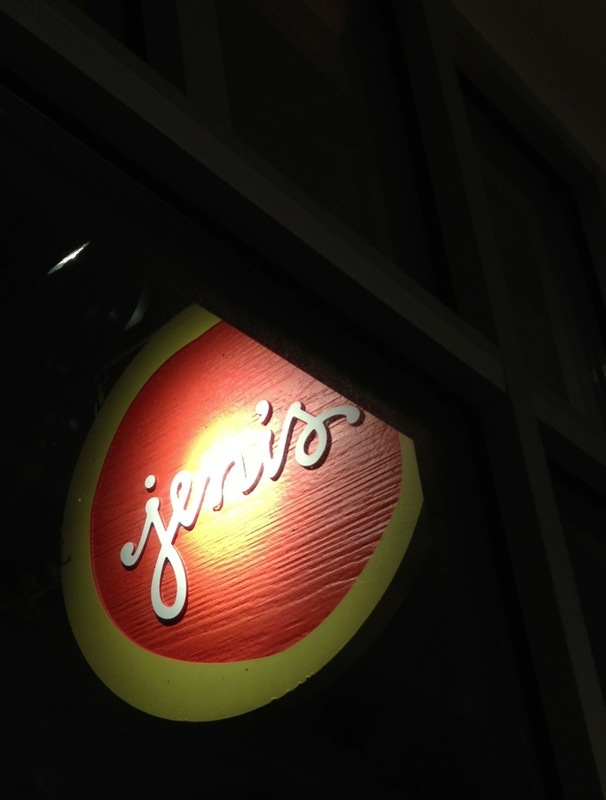 Perhaps East Nashville has changed, or Jeni’s, or me… but it now seems to fit in perfectly. This night, the line was literally out the door. I had this fear that they might not have the biscuit ice cream or it might run out. But they did and it didn’t, and the line moved quickly. So how was the ice cream? Fabulous. Truly fabulous. 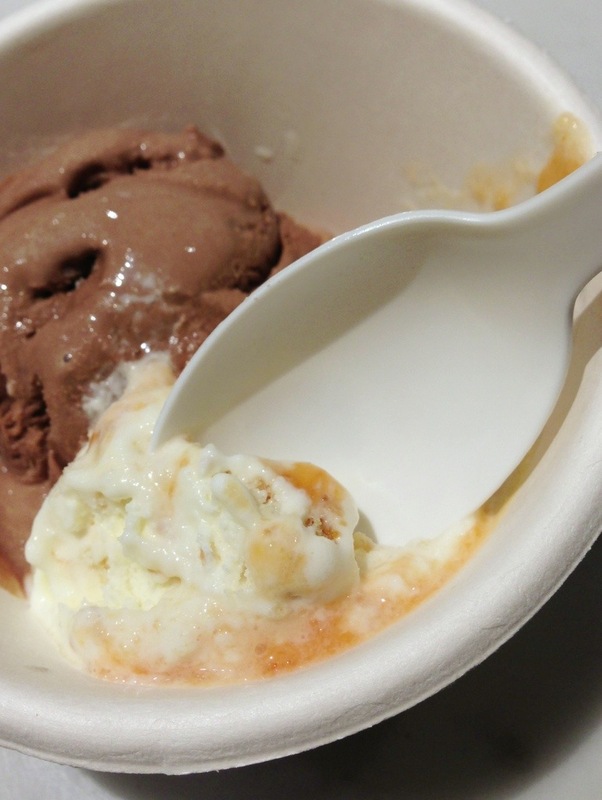 The flavor was called “Loveless Biscuits & Peach Jam.” It went far beyond your ordinary peach ice cream, which usually has chunks of peach in a sweet base. This had ribbons of sweet peach jam that were the perfect counterpoint to an almost tart buttermilk base ice cream. There were little chunks and crumbs of biscuit throughout that made the texture even more satisfying. So now I can’t help wondering … Where else will there be biscuits? What other surprises are in store?